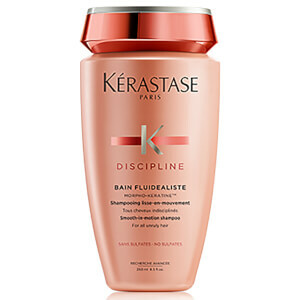 Perfect for coloured or sensitive hair, Kérastase Discipline Bain Fluidealiste Sulfur Free (250ml) and Fondant Fluidealiste will cleanse, condition and repair your hair to leave it feeling stronger, smoother and more lustrous, whilst protecting against frizz and humidity for up to 72 hours. - L.M. 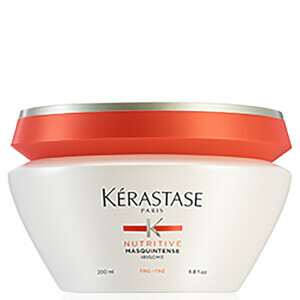 Kérastase Discipline Bain Fluidealiste Sulfur Free 250ml: Smooth, strengthen and add resilience to your hair with Kérastase Discipline Bain Fluidealiste Sulfur Free. 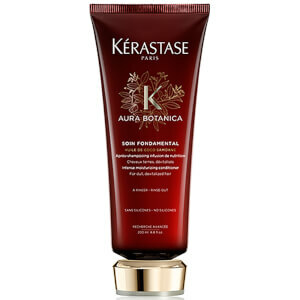 Formulated with amino acids, a wheat protein derivative and ceramide R, it will smooth and strengthen your hair, whilst the pro-keratin formula will restore the integrity of the hair. Creating an even surface area, it'll leave your hair with a soft texture and a frizz-free finish, whilst the sulfate-free formula is ideal for colour-treated and sensitised tresses. 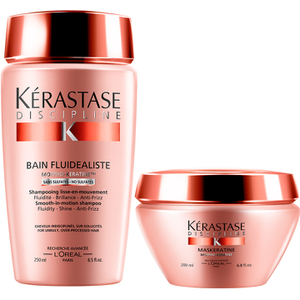 Kérastase Discipline Fondant Fluidealiste 200ml: Formulated with amino acids, a wheat protein derivative and ceramide R, this conditioning treatment will smooth and strengthen your hair, whilst the pro-keratin formula will restore the integrity of the hair. 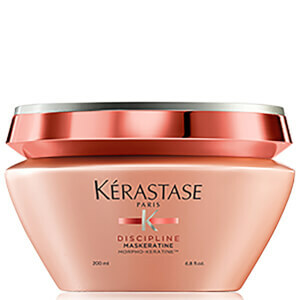 Creating an even surface area, it'll leave your hair with a soft texture and a frizz-free finish. I value both products as excellent. It was my hairdresser piece of advice against fuzzy hair and it does its work perfectly. My hair is smooth and full of life the whole day long. The scent of the products is also wonderful. I recommend both products for everyone with the same hair problem. Enjoy.